Aromatic Bombay street food that arrives with a flourish. 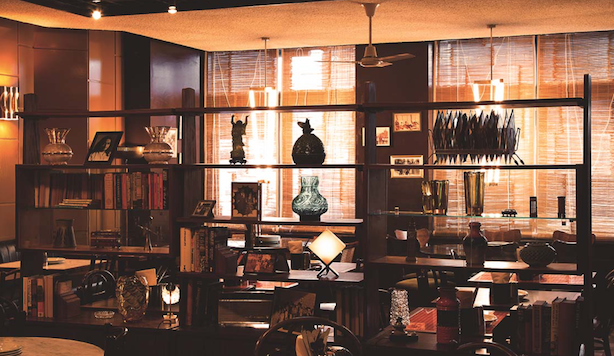 A "Bombay café in London" is how Dishoom describes itself. The original concept, pioneered by Zoroastrian immigrants from Iran, had the ambition of being a place that welcomed everyone, from rich businessmen to sweaty taxi-wallers to courting couples. It’s the fourth Dishoom in the capital and the plan appears to be to roll out the concept across the UK. The smell is the first thing that hits you as you enter. Like being in an Indian spice market – a luxuriant celebration of the smells of India. The design of the space is nice enough, with lots of ‘London-meets-India’ artefacts on the wall. The waiter wrote nothing down, which always worries me (and he was back five minutes later asking us to remind him what it was we were going for). And then the food arrived and all was forgiven. If there was no wine involved (which there was) it would be about £100 for two. So many beautiful and delicious dishes. Each dish arrived with a flourish and a level of drama you seldom get in all but the most premium of restaurants. We tried more than most people probably would (in the interest of research, obviously) and were delighted with every addition to the table. The Chloe Bhatura (spiced chickpeas) was delicious, the Pau bhajis made us feel like we were eating street food in Bombay, the okra fries I would have liked to snaffle away in my bag and finish off later. Tiny bit slow, but the restaurant was heaving so I forgive. We booked in the week of going with no problem. Clients would know you were making an effort if you took them here. Great experience, great service, great food. Would highly recommend and I am already looking forward to going again.